Our measurement and evaluation software allows you to create test plans quickly and easily, and to document measured values in logs that can be adapted to customer-specific requirements. 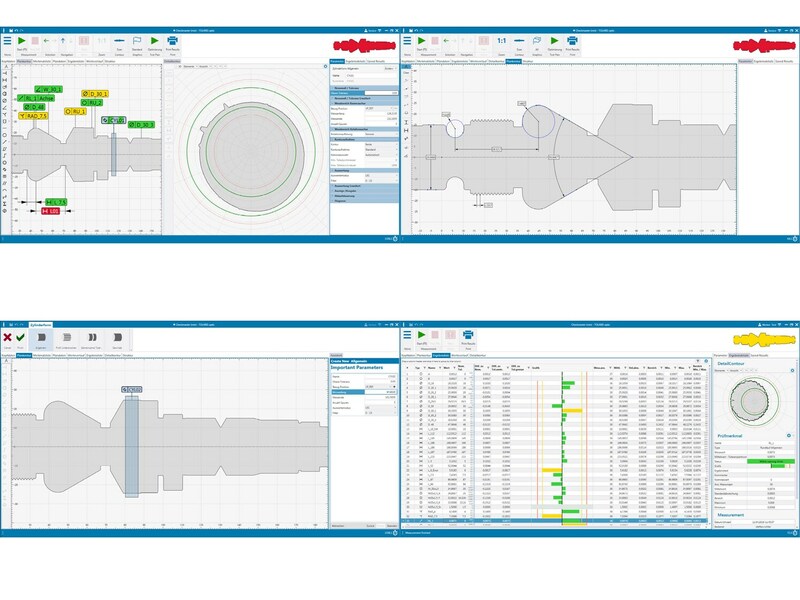 Our measurement and evaluation software Tolaris Optic has been a proven success for all measuring systems of the Opticline range. 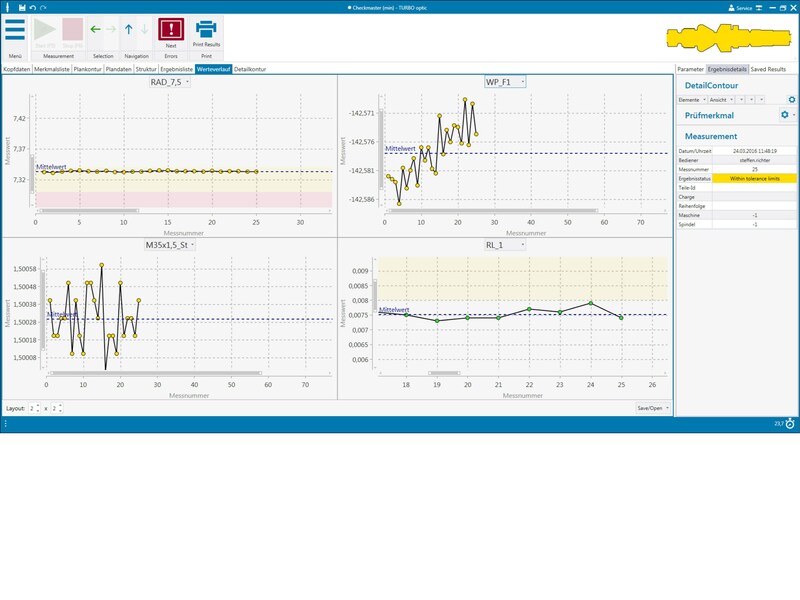 It offers comprehensive analysis and reporting functions, as well as many additional functions through to an optional connection to the correction value control in upstream processes. 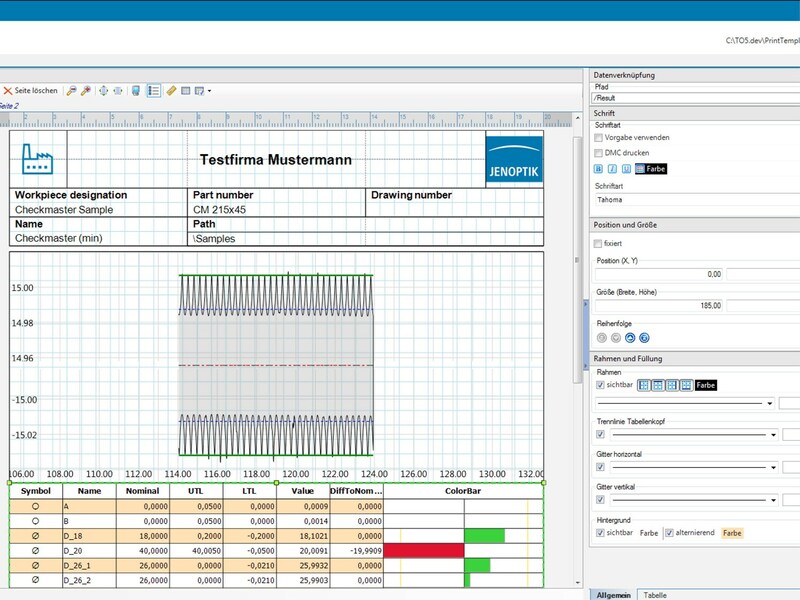 The evaluation software not only allows test plansto be created quickly and easily, but also allows all measurement results to be displayed and processed using a graphical user interface. Depending on the measuring task, the operator can combine any measurement functions for an automatically optimized measurement run. The test characteristics that you require to create a test plan are predefined, allowing simple operation for the user. Measuring tasks can be assigned to the workpiece contour by drag-and-drop. Parameters and settings can be assigned via clearly arranged specification fields. A list of options is displayed to the test plan designer, who then only has to choose the appropriate one. This reduces complexity, and means that even inexperienced users can fully utilize our evaluation software. The measurement results are available within just a few seconds. You can display, print out, and save the measured values in different screen views, or export them via the integrated interfaces. A value pattern display is integrated for individual test characteristics. 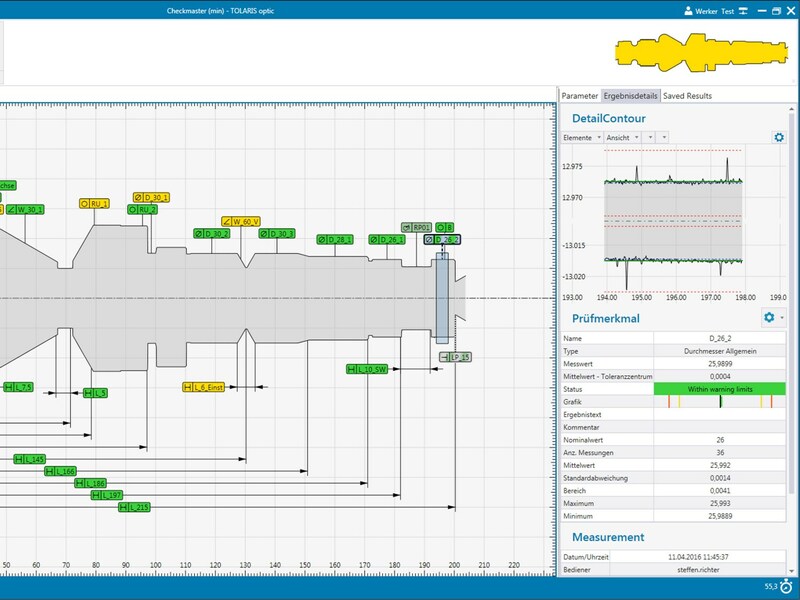 The evaluation software also includes practical tools for analyzing the measurement results and data such as the detailed contours of the workpiece. This means the operator can evaluate the measurement results quickly and reliably, thereby ensuring clear results tracking that conforms to processes. 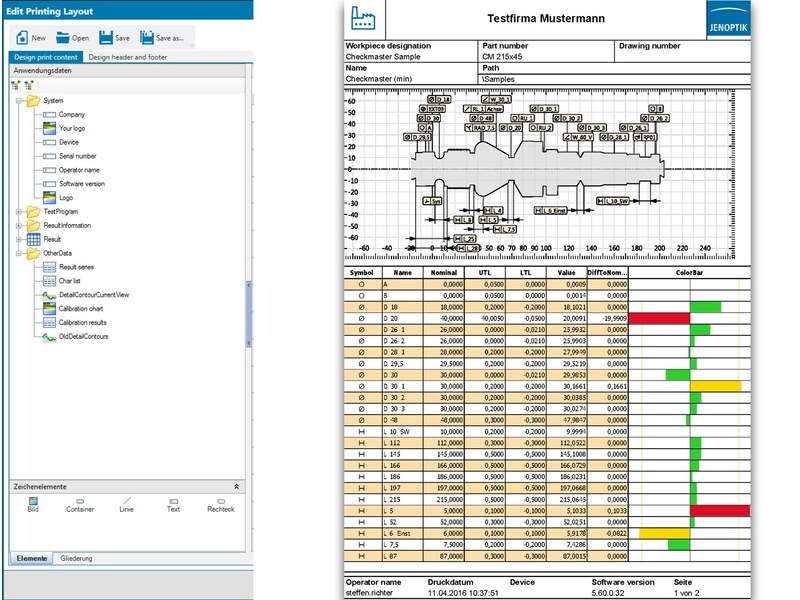 You can choose from several predefined standard logs for your printouts of measured data. These can also be modified to your individual requirements quickly and easily.